Why should new car shoppers be in the market for a Honda Accord? With sedan and coupe body styles, turbocharged and hybrid engine options, and a suite of standard safety tech that actively works to keep you safe, can any other car compare? Start with the base Accord LX, or upgrade to one of the higher trims, the the EX-L with leather upholstery or the Touring with built-in wireless charging for your smartphone. Looking to learn more about the new Honda Accord or find one for sale in Bartlett? You’ve come to the right place. 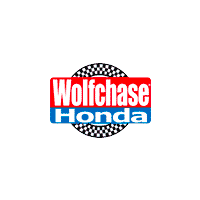 Contact Wolfchase Honda today with any questions, like to learn the difference between the Accord and Civic or coupe vs. sedan.